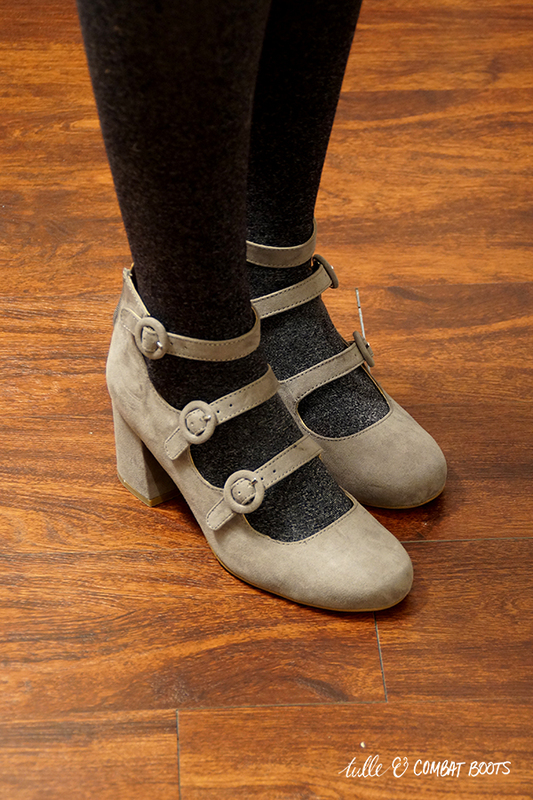 Tulle & Combat Boots: luna love. I'm about twenty years late to the Sailor Moon bandwagon, but here we are. 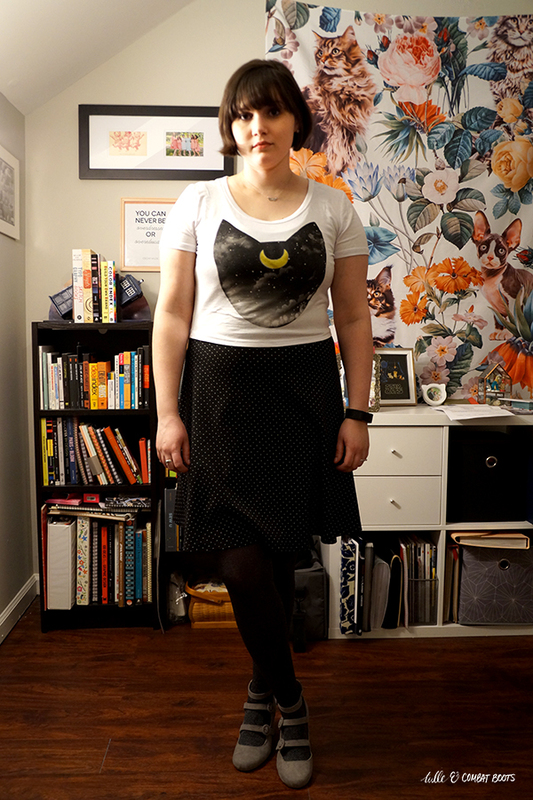 Naturally, my favorite character is Luna, and so I couldn't resist this Luna top (from Hot Topic, of all places). This outfit is an interesting mix of super casual and then kind of fancy shoes. But I think it works. 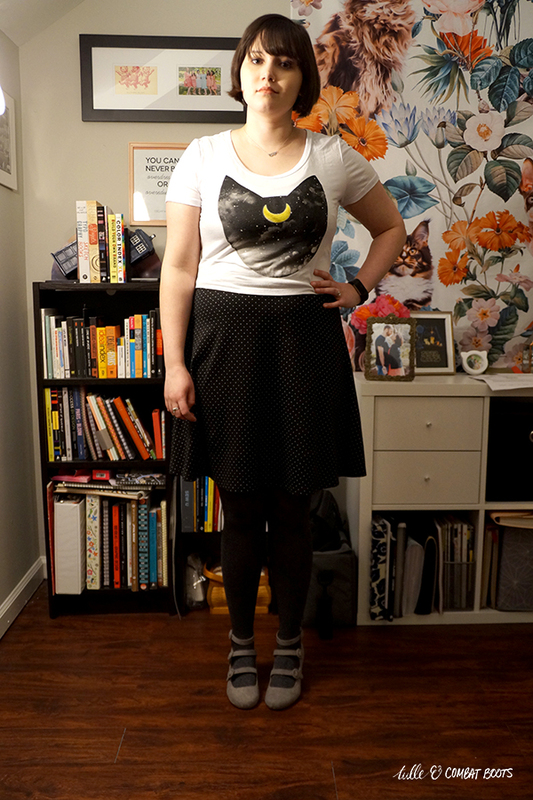 More importantly, how cute is this shirt? 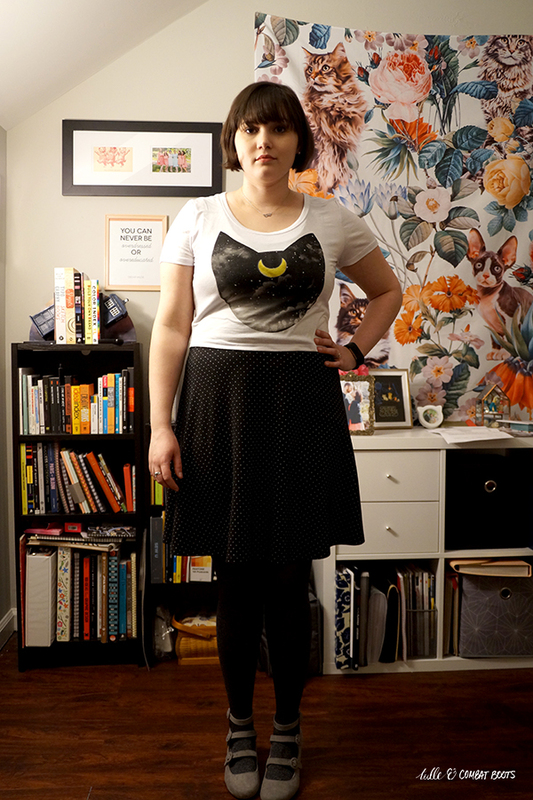 It's definitely the layering over dresses type of shirt, but it will work with a few different dresses.